Belgrade Arbitration Conference is an academic event annually organized by the University of Belgrade Faculty of Law since 2008. 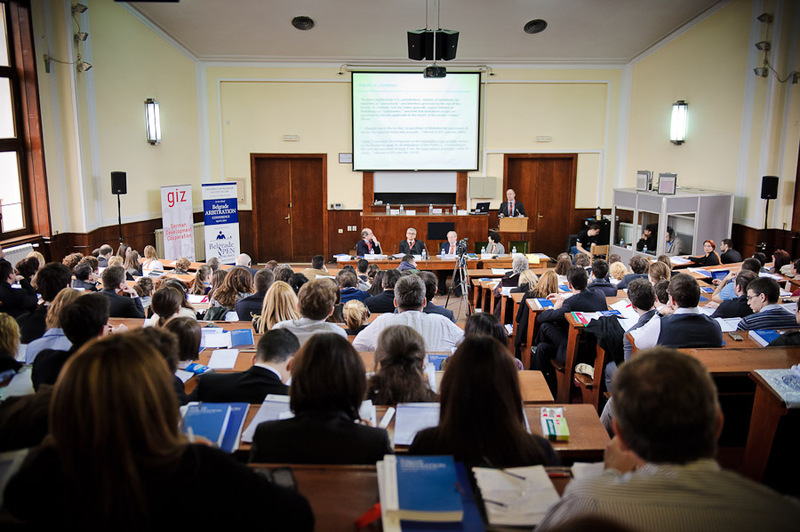 Every spring it gathers renowned experts in the field of arbitration law from various countries, around two or more panels, discussing pertinent issues of International Commercial Arbitration Law. Working language of the Conference is English. International IVRS (Internationale Vereinigung für Rechts- und Sozialphilosophie) conference in legal and social philosophy is an annual event organized by the University of Belgrade Faculty of Law and the Serbian Association for Legal and Social Philosophy. The conference takes place in October, and it has hosted some of the most prominent contemporary legal theorists and legal philosophers: Andrei Marmor, Robert Alexy, Will Waluchow, Brian Bix, Kenneth Einar Himma, Pierluigi Chiassoni, David Duarte etc. 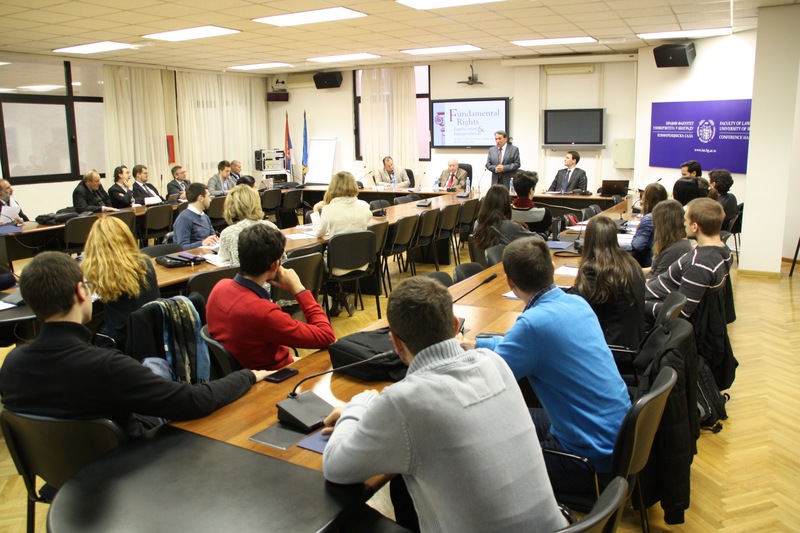 As of 2015, Faculty of Belgrade hosts the conference “Intellectual Property and the Internet”. 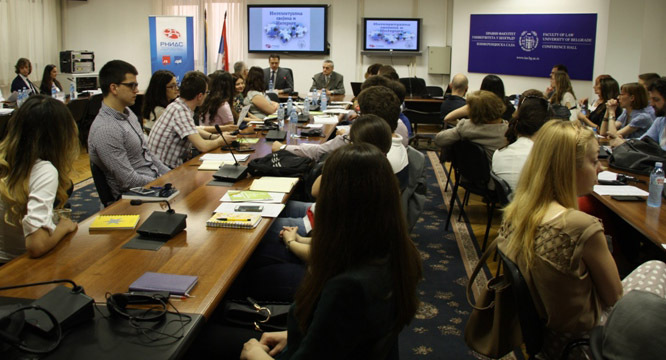 The conference is organized by the Foundation “Serbian national internet domains registry” (RNIDS) and the Faculty of Law, University of Belgrade and it is supported by ICANN. 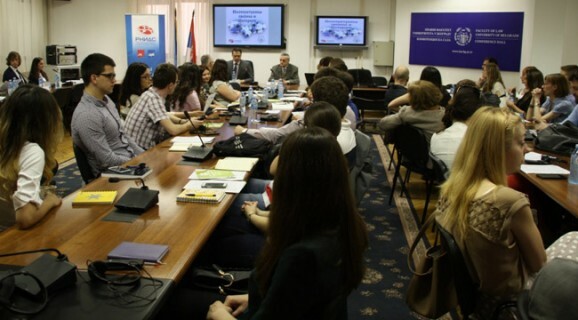 After the conference, the University of Belgrade publishes the edited collection “Intellectual Property and the Internet”. Student Conference on Theory and Philosophy of Law was first held three years ago on the initiative of professors from Cathedra for Theory, Philosophy and Sociology of Law. In response to a lack of opportunity for Serbian students to participate in scientific work, Student Conference was designed to be a student-led long lasting project that would enable students to improve critical thinking, analytical skills, and argumentative writing. Participants are given a unique chance to conduct scientific work under guidance of a chosen professor, to present their papers at the Conference, and to discuss different topics in fields of theory and philosophy of law with fellow professors and students. 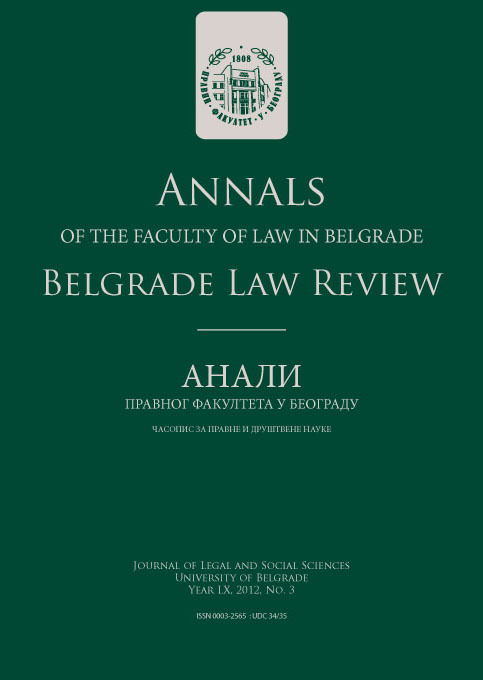 Participants also have a great opportunity to publish papers in the Annals of the Faculty of Law in Belgrade.